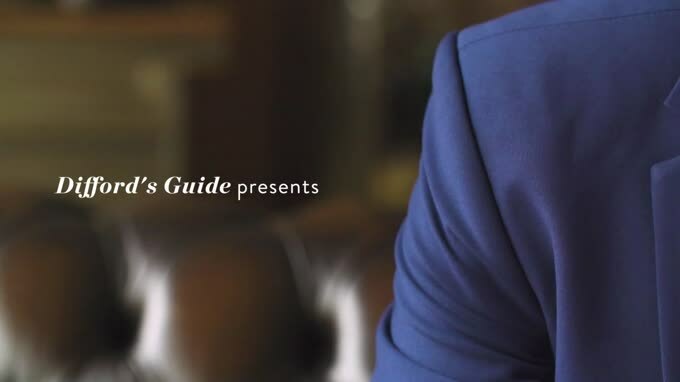 It’s rare we meant a rum producer who so eloquently and passionately speaks about their rum, family story, ethos behind their brand and how their rum is made. Hence, rather than write my own words I have edited what Miguel Riascos De Castro told me when we met in London in the summer of 2017. “My grandfather and father wanted to make rum but had no clue how, so it all started with a technological exchange agreement with the Cuban government. Cuba was going through a very difficult economic time because they no longer had the full support of the USSR and had to find their own way. This meant they had to entertain proposals from different foreign companies, one of those was Pernod Ricard, of course, who approached the Cuban state-owned rum company, took over the Havana Club brand and made it into what it is today. 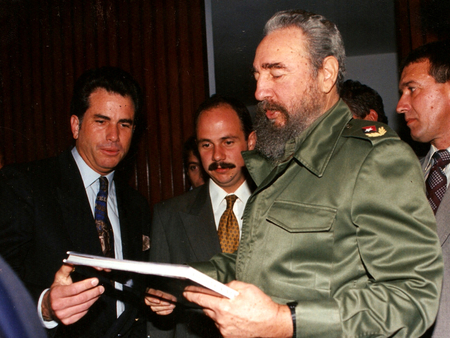 We decided to set up this business in hand with the Cubans, as we saw an opportunity to access the American market and somehow bypass the trade embargo on Cuba by making a similar style, Hispanic-style rum in Colombia and then exporting it into the US market, which is by far the largest rum market in the world. We initially wanted to import spirit from Cuba, bottle rum in Colombia and ship it to the States, but understandably, the Cubans didn’t want to undermine Havana Club by doing business through their other rum-producing company. So their contribution to our company was limited to knowledge. The reality is, what you put in the business plan is one thing, and then another completely separate and different thing is what you actually end up doing. The Master Blenders who the Cubans sent to work with us, some whom are still with us today, grew up cutting sugar cane for the Cuban revolution and they pretty much moved up the Cuban sugar-making hierarchy from there. They educated themselves in the University of Havana where they became chemical engineers and in addition to chemical engineers they became sugar engineers - that’s actually their title. And from there, they moved on to work in sugar and bi-products and refineries and such, eventually moving on to rum. And rum is an industry that is very close to the Cuban ego and is therefore reserved for great talent, so not only do these gentlemen have a lot of knowledge and a lot of very specific technical and scientific knowledge, they also have a lot of intuition that you only acquire with experience. The Cubans helped put together our family bodega in Barranquilla, and that, of course, took a while – it’s very time-consuming process and a very long commitment. You need to start off with the right barrels, so we use exclusively American white oak in our solera. So you initially acquire those, fill them with carefully selected Hispanic-style rums, and then it’s about waiting and progressively blending and understanding the intricacies that are inherent to ageing. It’s the interaction between things that are very hard to pin down, like the atmosphere and the temperature and the relative humidity and many other factors… and time, of course. Our rum is the result of combining so many different cultures. Rather than the Cubans teaching us how to make Cuban recipe rum, they re-assimilated all that knowledge and were given the liberty to work with different raw distillates and freshly-dumped American white oak barrels from Kentucky, which obviously, you cannot get in Cuba. 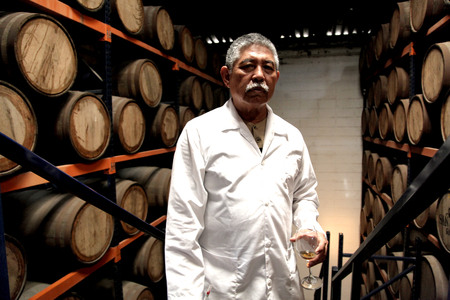 In common with Cuba, there’s one weird quirk about the Colombian rum-making industry - it’s all run by the state. There are no private companies producing anything above 20% ABV without the government having something to do with it. 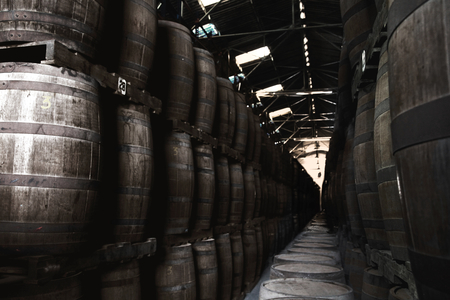 However, through a series of loopholes, we ended up becoming the only privately-owned and family-run rum company in Colombia and strangely enough, ended up supplying many of the state-run brands with bulk rum rather than doing what we initially set out to do, which was make and bottle Hispanic-style rum for sale in the US market. So, that was the initial form our business took, it was mostly behind-the-scenes, business-to-business, just being able to appreciate the specifics of the rum-making process and taking advantage of all these different variables in the process to be able to produce different profiled rums for different brands. 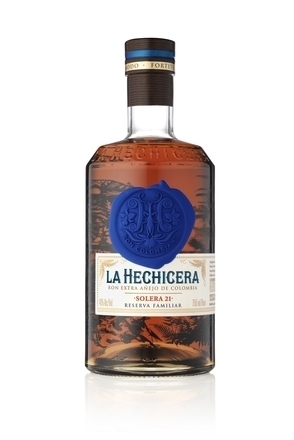 Eventually, we got to bottle and, of course, pretty much in-line with the time we had spent in the business back then, we went from bottling white rums to gold rums to aged rums and eventually, rums, like La Hechicera, which has been aged between 12 and up to 21 years in American white oak. So today, we produce La Hechicera and that’s a project we’re very proud of because it’s taken us very many years, over two decades to get to this. However, prior to the rum being at a stage where we could produce the rum we now do with the accompanying packaging and value proposition, we bottled some other rums like, Ron Santero, which is a brand that was born with us in Barranquilla, hand-in-hand with the Cuban Government. They have since continued bottling the Ron Santero under their own label in Cuba, we still bottle a fairly popular and well-known brand in the Colombian Caribbean called Ron Caña. We produce a range of coffee liqueurs in partnership with the Juan Valdez coffee brand. For a country like Colombia where coffee is such a central industry, to be able to be associated with the best-known and the most respected Colombian coffee name is a source of great pride for our portfolio and our company. And we, of course, bottle La Hechicera. I’ve worked beside my father in Casa Santana, he’s still running that company, and I’m very fortunate to continue to be able to learn from him day-to-day. However, the La Hechicera project, was a shared vision between my sister, Laura, and myself initially, and then very early into the process, we had the good fortune of having Martamaría Carrillo, our other partner join us. 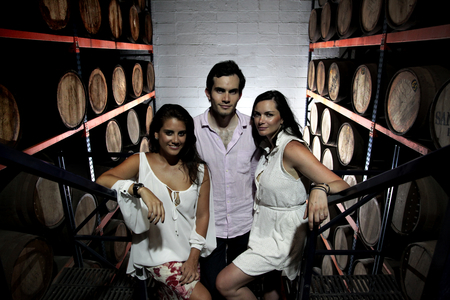 Martamaría Carrillo, Miguel Riascos and Laura Riascos. I still have pictures of the very first bottle we put together. It was a painstaking process, we had all the right people on the team, we were unbelievably demanding of every single supplier, the type of paper, this, that, every detail that goes onto the packaging. And when we finally got a refined version of every single component we put that all together into our first production prototype, it was perhaps one of the most gratifying moments I’d had had in my short career at that time. However, I would say the most special moment, or at least the one I remember the most, was the sense of satisfaction a year or so later, in November 2012, when we launched La Hechicera in London." 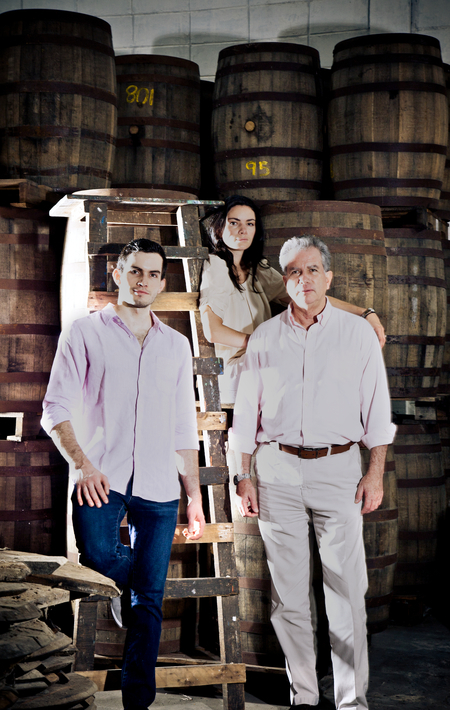 Miguel Riascos Jr, Laura Riascos and Miguel Riascos Sr.